H.Essers offers general logistics services such as transport and warehousing for a variety of goods and this for all countries in Western and Eastern Europe. In our offer you can find both FTL and LTL shipments, direct from point A to point b. You can book these shipments on an ad hoc basis, but we can also discuss about a package of regular transport, full loads or share parties custom made for you. H. Essers has an extensive network at its disposal throughout Europe. 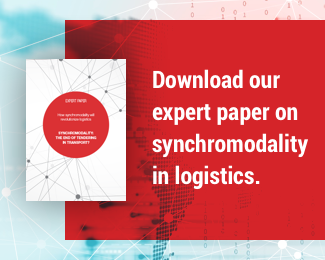 As a member and co-founder of System Alliance Europe – a cargo network that harnesses the competencies of leading medium-sized logistics providers – clients have access to an extensive European groupage platform. Moreover, organisational and IT guidelines ensure high quality standards, transparent processes and a reliable processing and monitoring of all shipments. As the leading groupage transporter in Europe, H.Essers provides customer-specific value-added services such as customs clearance, and we focus on the continuous improvement of our services. In addition to this, we provide daily departures to all major destinations with a delivery within 24/48/78 hours. Europe is just a single click away.